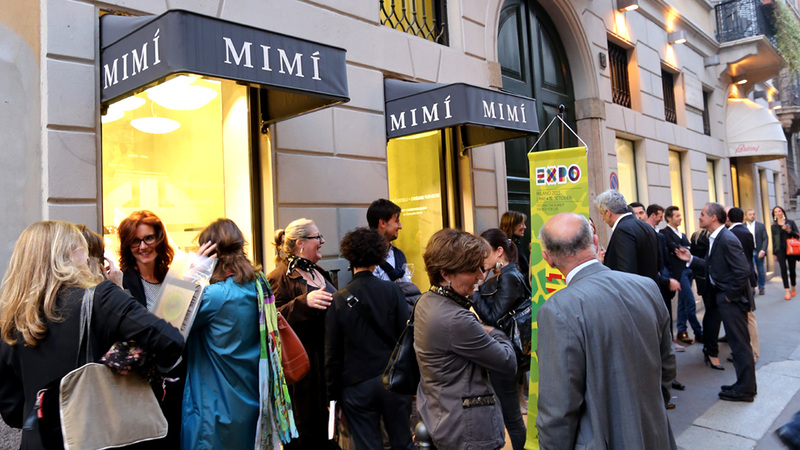 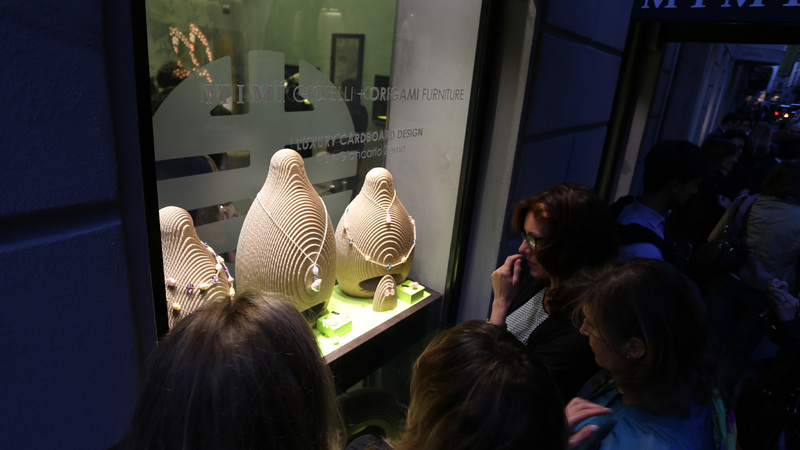 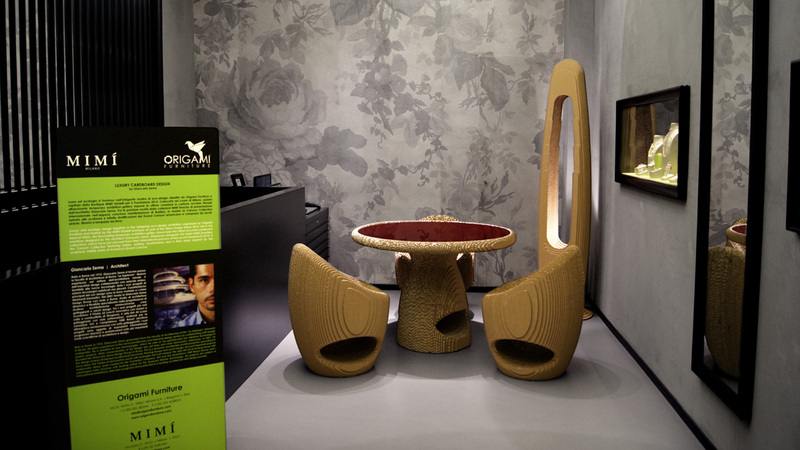 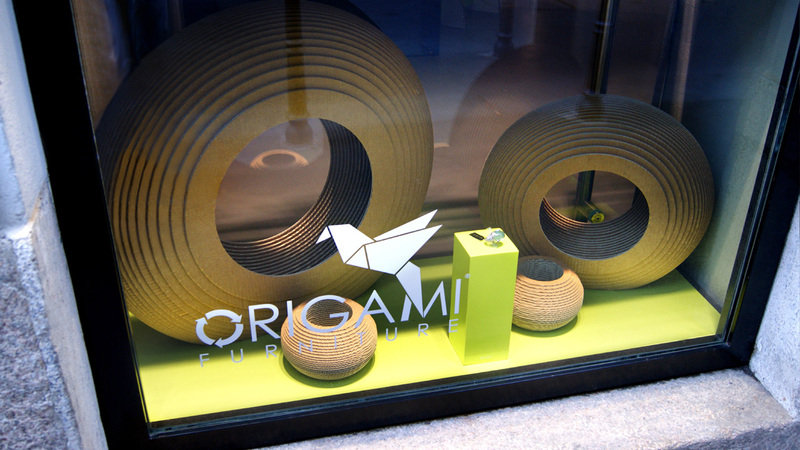 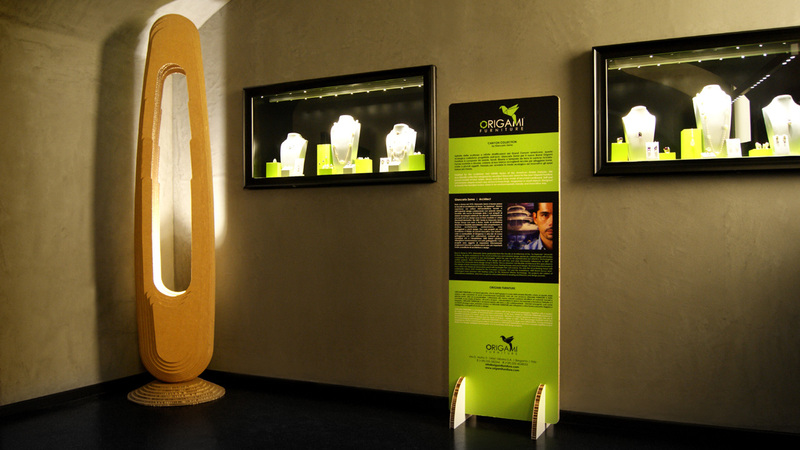 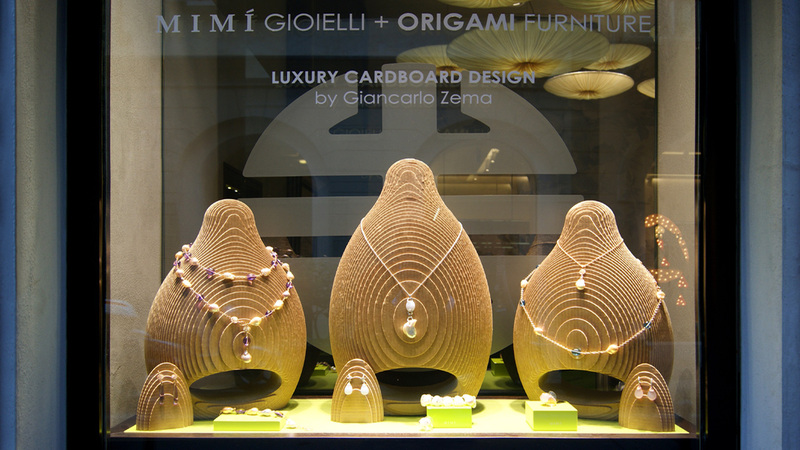 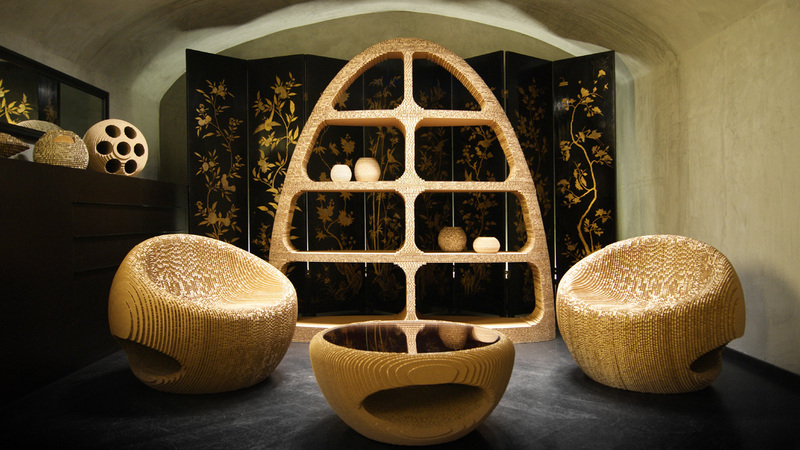 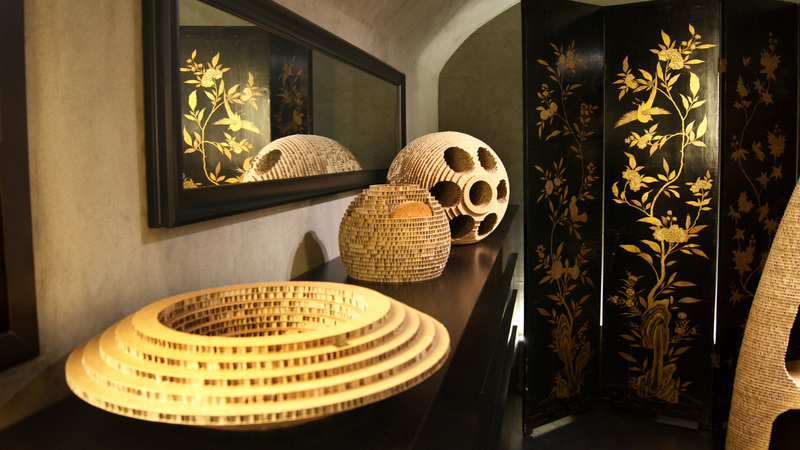 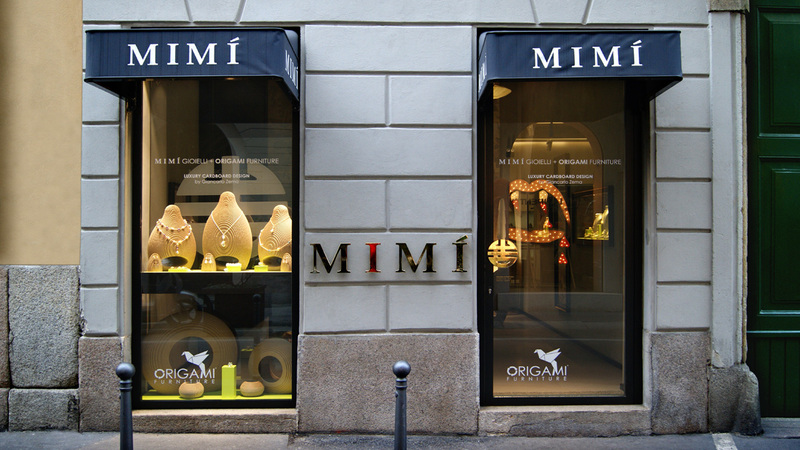 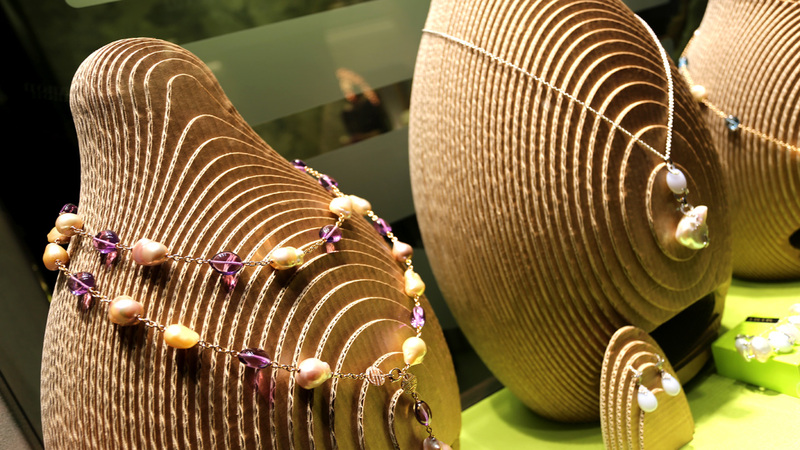 Luxury and ecology merge together in the intriguing eco-design exhibition promoted by the Boutique MIMI’ Gioielli and the Origami Furniture, brand specialising in the manufacture of eco-friendly furniture. 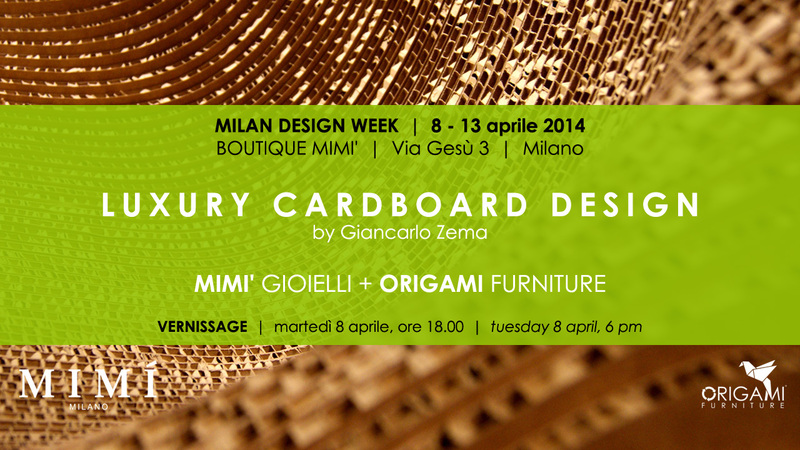 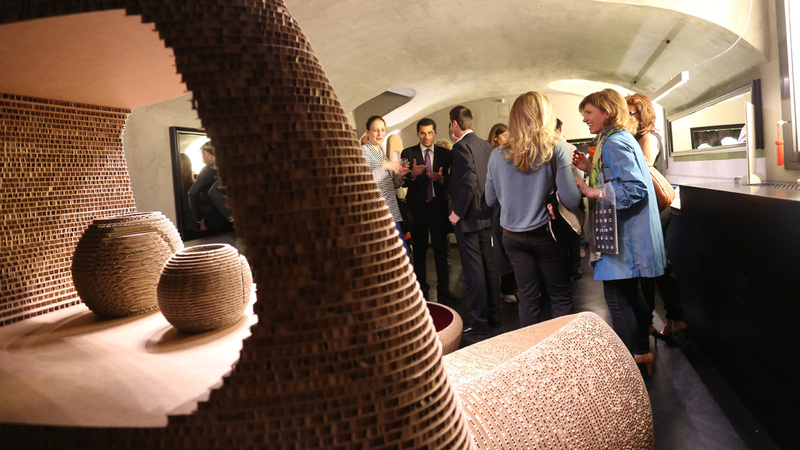 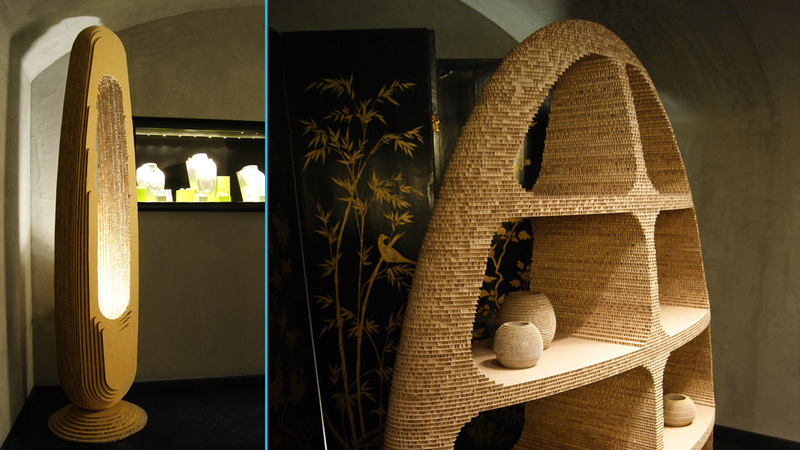 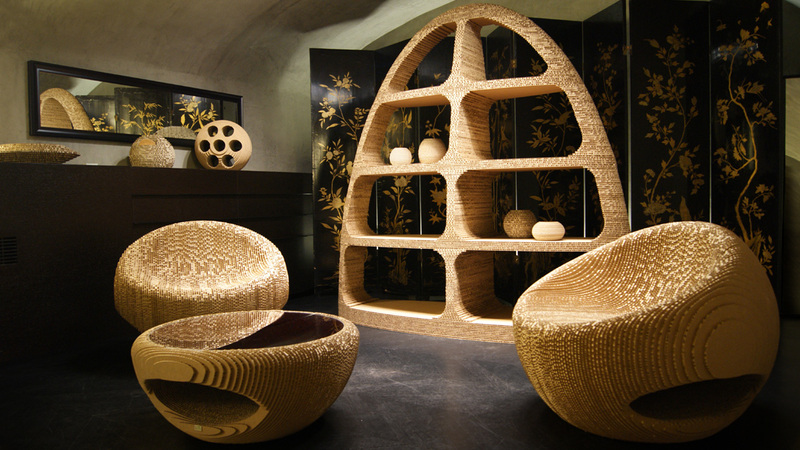 Set in the heart of Milan, this fascinating temporary exhibition-gallery hosts the latest recycled cardboard furniture creations designed by architect Giancarlo Zema. 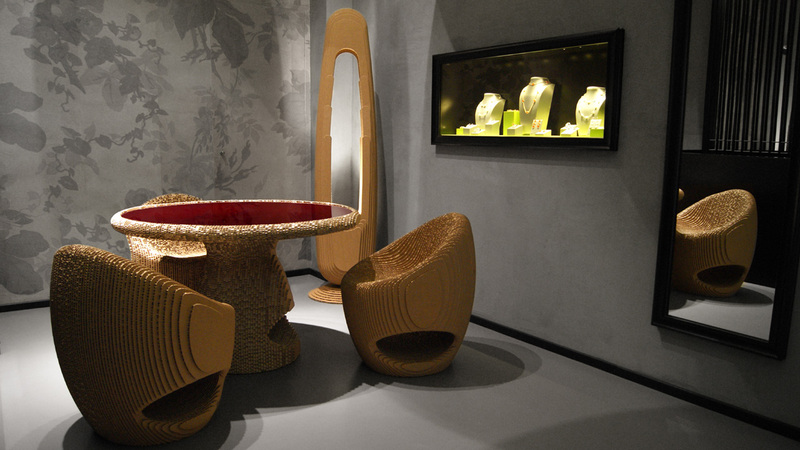 Exhibited between the jewelry of MIMI’ the Canyon Collection, inspired by the sculpted and infinite stratifications of America’s Grand Canyon, comprising tables, seats, library and floor lamp.